Most people desire to be strong and powerful, but how many have the knowledge and skills to achieve this properly and safely? From my experience, strength training is one of the areas people have the least skills for effective strength building. The bottom line is there is a science behind the appropriate steps to building muscle strength. Some of the guidelines I utilize are found in the section below. 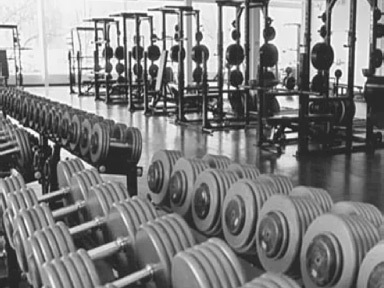 Strive to be efficient in working out and building a foundation that you can grow on. Go in with a goal first, plan second, and then produce results. Understand your muscles and come up with a workout that fits you. Also for effective weightlifting you need to eat a well balanced diet and get adequate amount of rest, which is about ten hours a night. Try to give muscles two to three days rest before using again though. Group your workout depending on how many days a week you want to workout. A great useful tool I use is www.about.com, this will help you find a workout that is ideal for you and also give you a variety of exercise routines ranging from strength workouts, cardio, flexibility and yoga workouts, and specialty workouts that can be molded to give you a wide range of choices to choose from. I find weightlifting to be very much in the trial and error department because what works for me may not work for you and vice versa. Be patient but just know when you like the results and you find what works for you- the sky is just the beginning. Bolt, Green, Kersee, Jones and Lewis are the names you think about when it comes to one’s ability to run very fast. These are the world’s fastest males and females in the world and the prototype for excellent and for the most part proper running technique. Speed is a very tricking concept and most people feel that you are born with. I believe that the fastest people are the ones who run efficiently. This means producing the most force possible with each stride, using full stride length, and staying relaxed as possible. So if you can learn to do those things I feel you will become a faster individual. Do not get me wrong, I feel certain people are born with more God given ability than others, but they too can learn to be a more efficient runner. In order to run more efficiently the first area you must learn is the basic mechanics of running. Your arms, legs, and feet must work together as a unified system. Your legs only can go as fast as your arms and your feet must hit the ground with the correct placement. I am a firm believer that speed is a skill and if taught the proper mechanics it will definitely improve. I will have videos to help you out, but also check out www.runningmechanics.com and www.parisi.squarespace.com to help you increase your understanding about speed building and running a little bit more. “To eat or not to eat, is always a question in the back of your mind when you are sitting in front of a scrumptious meal!” Nutrition is a key factor to obtain proper growth and development from birth, which is obtained through eating. Some messages about managing a healthy nutritional status lack the complete view about appropriate food consumption. Messages often advertise about what you should not eat, but fail to convey the other side of the story about things you should eat. Desired healthy messages should communicate a wealth of information resulting in content that is well rounded. The key to being healthy is to consume the right foods in the right amount for your body. The overall function of your body is supported through the use of energy from food you eat and drink. Taking this into consideration, the more suitable nutrients you put in your body, the more you feel and the longer your body stays healthier. I use a couple of tools to steer me in the right direction, which may be found at www.mypyramid.gov and www.about.com. These sites will provide you with information about the different types of macronutrients, vitamins, minerals, and food groups needed to move towards a healthier lifestyle. Also, it will provide you with proper ways to gaining and losing weight!